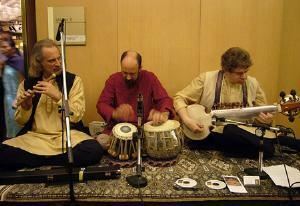 Sangam Indian Music Trio of Los Angeles has provided enchanting Indian Classical music on the sarod, bansuri (bamboo flute) & tabla for dozens of weddings and parties in Southern California. We are available for live performances for weddings, engagement party and special events throughout Los Angeles and Orange Counties and beyond. Please visit our website at http://indianmusiclosangeles.com for more info and audio samples.